June 27, 2013 | Daniel A. Burton, Esq. As a divorce attorney, I deal primarily with the ending of marital relationships some time subsequent to the marriage. However, it is not uncommon for parties that are engaged to marry one another, fully intending on getting married, to have second thoughts and decide to call it off for any number of reasons. Breaking off an engagement can be one of the most difficult experiences in anyone’s life, due primarily to the multitude of factors that are at play. The ramifications of such an experience can be emotional, financial, social, and/or familial. Inevitably, one of the most common questions that arises during this difficult time is “Who gets to keep the engagement ring?” Pursuant to the case law in the State of New Jersey, however, this aspect has been made quite clear and thus provides some stability in an otherwise unstable time. An engagement ring is considered a conditional gift premised upon the eventuality of a marriage and therefore if that condition is not met, then the engagement ring must be returned, regardless of the reasons that the marriage did not take place. The seminal case in the State of New Jersey, regarding engagement rings is Aronow v Silver, 223 N.J. Super. 344 (Ch. Div. 1987), which was decided by the Superior Court of New Jersey, Chancery Division in Burlington County. In that particular case, the parties had an extremely volatile engagement, wherein the parties called it off multiple times, before ultimately terminating the engagement for good just days before the wedding was scheduled to take place. The Court in that case decided to break from the majority rule throughout the country at the time. The majority rule was a fault based system that essentially allowed the party who was not at fault for the break off of the engagement to keep the engagement ring. In other words, the party responsible for the break off of the engagement would not be allowed to keep the engagement ring. The Court in Aronow, cited to prior New Jersey cases, Sloin v. Lavine, 11 N.J. Misc. 899 (Sup. Ct. 1933) and Albanese v. Indelicato, 25 N.J. Misc. 144 (D. Ct. 1947), when making its determination, ultimately concluding that “An engagement ring is a symbol or pledge of the coming marriage and signifies that the one who wears it is engaged to marry the man who gave it to her. If the engagement is broken off, the ring should be returned since it is a conditional gift … It does not matter who broke the engagement. A person may have the best reasons in the world for so doing. The important thing is that the gift was conditional and the condition was not fulfilled.” The Court also reasoned that “the fault rule is sexist and archaic, a too-long enduring reminder of the times when even the law discriminated against women.” It is not difficult to envision scenarios where trying to determine fault, in order to grant ownership of the engagement ring, would become cumbersome. The conditional rule set forth by this Court avoids any grey area or confusion and boils the issue down to two simple questions: (1) Was the ring provided in anticipation of a wedding? and (2) Did the wedding take place? Upon answering those two questions, the rightful owner of the ring is determined each and every time, without the need for exhaustive testimony or evidence, not to mention rehashing and reliving the end of an engagement, regarding who was at fault for the break off of the engagement. In a subsequent case to Aronow, the Superior Court of New Jersey, Appellate Division, upheld that decision upon the same premise with a different set of facts, in its holding in Winer v Winer, 242 N.J. Super. 510 (App. Div. 1990). In that case, the defendant asserted that the engagement ring that he had given to the plaintiff should be subject to equitable distribution upon their divorce because it was given in anticipation of the marriage. 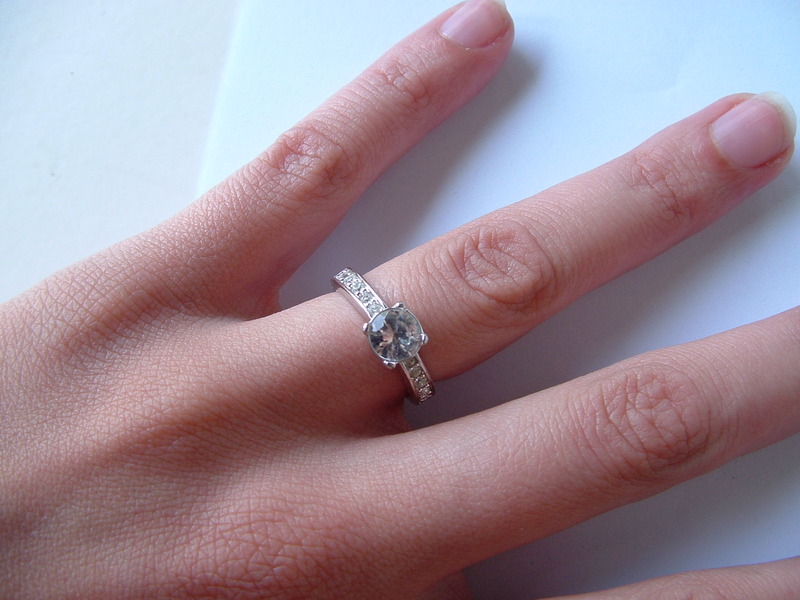 The Court disagreed based upon the interpretation that an engagement ring is a conditional gift. Specifically, the Court held that “[t]he question of the conditional nature of the gift became moot upon the marriage when the ring unconditionally became the property of the plaintiff. Therefore, the ring given prior to the marriage retains its character as separate property not subject to equitable distribution.” Based upon the two rulings in Aronow and Winer, the law on engagement rings can be summarized by the following: an engagement ring is the property of the party making the conditional gift up until the marriage has taken place, at which point in time, the rightful owner of the engagement ring becomes the party upon whom the conditional gift was made.